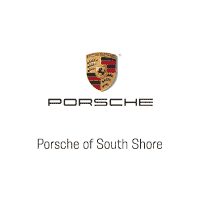 Porsche of South Shore is proud to present a great selection of the versatile Porsche Cayenne for sale now in our Exclusive Manufaktur Store in Freeport. The new Porsche Cayenne is a Sports car for five. Five doors that are open to any adventure. With a new, dynamic design and a new generation of efficient, turbocharged engines. With outstanding digital connectivity that brings the whole world into the cockpit. With versatility, quality and new cutting-edge driver assistance systems that offer both driver and passengers extraordinary comfort. Shop our inventory of new Porsche Cayenne for sale to get started. The Porsche Cayenne, the high performance SUV from Porsche that is full of exhilaration from everyday life. Shop now for a Porsche Cayenne for sale in New York.